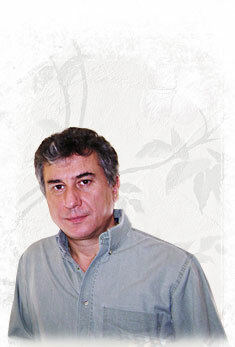 Tasos Katsifis is one of today's most renowned and established luthiers in Greece. He was born 1962 in Aliarto Boeotia. From his childhood, he expressed his love and passion for wooden handmade creations, music and painting. His professional journey begins in 1981 when he came to Athens. Alongside of the well-known bouzouki manufacturer Bobby Kleftoyiannis, he begins to learn the art of the luthier by constructing, repairing and preserving stringed instruments. By coming a long way with a lot of experience, he has established himself in the field as one of the best bouzouki luthiers. The support, the aesthetics, and the particular sound of the instruments that he manufactures, are elements that characterize his work, which is why he manufactures bouzoukis for the most distinguished soloists in Greece and abroad. With his continuous research for the sake of evolution in his works, coming from personal interest and love for his art, and the consistency that distinguishes him, he has won the trust and appreciation of clients not only as a manufacturer, but also as a human.